The search for signals at radio and optical frequencies has also yielded no evidence of extraterrestrial intelligence. However, although this search has been gaining momentum over the past 60 years, only a tiny fraction of the potential spatial directions, frequencies, and types of signals have been examined. The assumption is made, for example, that the radio communications to be intercepted will be carried on a very narrow frequency channel, typically 5 Hz wide, so that it will be distinguishable from the broad-band radio noise that permeates the universe. This means that there are trillions of channels to be examined, in trillions of directions. This is a time-consuming business. There is a similar challenge with optical communications. Thus it is far too early to conclude that the absence of a detectable signal to date means that there are none to be detected. 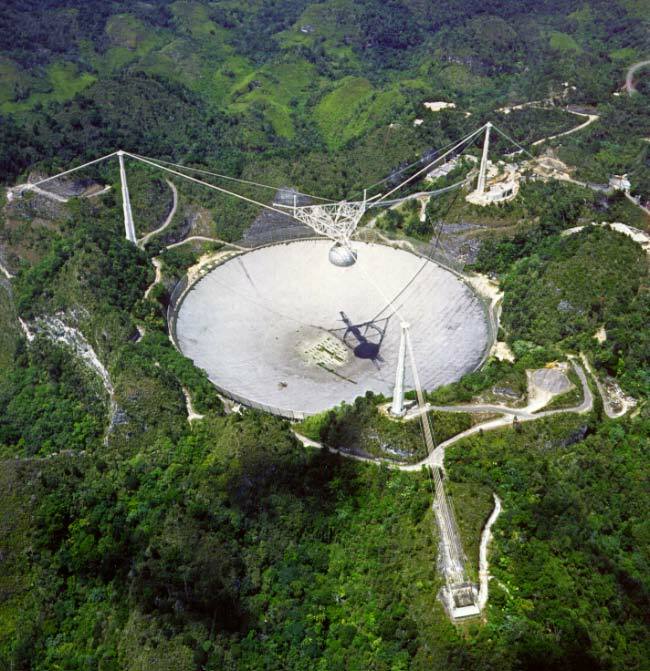 As we continue to invest in equipment, operations and human effort in the search for extraterrestrial intelligence (SETI), we recognize the need to consider the content of the signals we might receive, because we will have to know how to interpret them. A signal seeking to establish first contact with an unknown civilization may well use mathematics to draw attention to the presence of intelligence in the signal. This was suggested in the initial scientific paper on interstellar communication by Giuseppe Cocconi and Philip Morrison (Searching for Interstellar Communication, Nature, 184, 844, 1959). They expected the signal to be pulse modulated with a speed not very fast or slow compared to a second, on the grounds of band-width and of rotations. Adding, “For indisputable identification as an artificial signal, one signal might contain, for example, a sequence of small prime numbers of pulses, or simple arithmetic sums.” Morrison later developed this idea further to suggest using a repeating frame of numbers to convey a simple representation of a circle. However, this approach that we can envisage making ourselves may not be the way an older, more advanced civilization might decide to communicate with the universe at large. And it is such civilizations that we hope to communicate with. Being a very young civilization ourselves in cosmic terms, we may have much to learn from them. For the same reason, an older civilization may have little to learn from us. They may have long lost interest in the difficult types of problems we are encountering in trying to our civilization. They may well be uninterested in communicating with what they consider inferior civilizations of doubtful stability. Instead they may broadcast information about themselves in a frequency range and format (some sort of spread spectrum, perhaps) that only an advanced civilization could detect. And the information may be conveyed in a language that only highly sophisticated linguistic processing equipment will be able to decode or translate. So, in general terms, what we might expect by way of information in a successful SETI interception depends very much on the level of civilization and the attitude of the sender. We have been warned by eminent scientists, for example, that it would be unwise to communicate with an extraterrestrial civilization because it is likely to see us and our planet as a useful resource to be taken over and exploited. After all, that is we do things on Earth. On the other hand, there have been times when one civilization on Earth has helped another on compassionate grounds, particularly in the event of natural disasters. So we can recognize the possibility of three types of extraterrestrial attitudes: exploitation, indifference, compassion. We should also add curiosity as this is currently the major motivation for our own search for extraterrestrial life and intelligence. Broadly speaking, the attitudes divide civilizations into those that are aggressive and predatory, and those that are indifferent or compassionate. Both types may also be spurred by curiosity. The weakness that we can observe in aggressive predatory civilizations is that they do not last very long. On Earth, their average lifetime appears to be getting shorter as time goes by. The problem seems to be that aggressive organizations are run by aggressive, self-centered individuals and these lack the temperament to win the hearts and minds of their people, to accept new ideas or to provide for an effective succession. On the timescale where a global civilization controls a whole planet this is likely to be fatal, because constant challenges from the environment put a premium on flexibility and continuity for achieving survival. Furthermore, even in the unlikely event that aggressive, predatory civilizations could achieve a lifetime of 1,000 years, they probably will be separated by such enormous distances that they are a very low level threat compared with other events in the Galaxy.